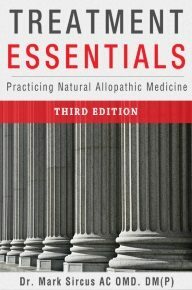 This book is about the application of the least expensive, safest and perhaps most effective cancer medicine there is. Studies have already shown how manipulation of tumor pH with sodium bicarbonate enhances chemotherapy pointing to the appropriateness of using bicarbonate as a principle medicinal substance with the potential of curing people of their cancers. Sodium bicarbonate cancer treatment focuses on delivering natural chemotherapy in a way that effectively kills cancer cells while dramatically reducing the brutal side effects and costs experienced with standard chemotherapy treatments. One pound of sodium bicarbonate costs only a few dollars at the supermarket. If you live in the States, you can get fifty pounds for fifty dollars of high-grade medicine that you can drink or put in your bathtub for the quickest, safest and certainly least expensive anticancer treatment available anywhere for any price. For ten dollars or less one has a nothing-to-lose-everything-to-gain-cancer-treatment. Sodium bicarbonate is a world-class anti-fungicide but that is but one of the reasons why baking soda is such an effective, safe and rapid-acting anti-tumor agent. It is such a good and necessary cancer medicine that oncologists have secretly been using it for decades along with chemotherapy fooling themselves in the process because they think they are using it to protect their patients from the deadly chemo chemicals. Emergency room and intensive care medicine would be severely handicapped if there was no sodium bicarbonate and already very dangerous chemotherapy would be even more deadly without bicarbonate used as a buffer when the chemical chemo poisons are pumped in. If you want to see how fast a person can hit the floor during chemotherapy just forget to mix in the bicarbonate and get out your stopwatch! Sodium bicarbonate is used prior to, during and after application of chemotherapy. Since the very beginning sodium bicarbonate has been used with the premier chemotherapy agent made from mustard gas. Mechlorethamine also known as chlormethine, mustine, nitrogen mustard and HN2, and sold under the brand name of Mustargen, was the prototype anticancer chemotherapeutic drug. Use of mechlorethamine gave birth to the field of anticancer chemotherapy. Without baking soda orthodox oncology would never have been able to establish itself for all their patients would probably have died too quickly. You will also be given fluids via IV and a drug called mesna with your cyclophosphamide to help prevent bladder irritation. Sodium bicarbonate will be given to you – usually as a drip – before and during your methotrexate treatment, to help protect your kidneys. These chemo drugs are an analogue of mustard gas and were derived from chemical warfare research. Instructions for their use include: Dilute well with rapidly running IVF flush solution. After infusion is complete, give brisk bolus approx. 200 cc IVF to flush veins. The basic substances used in IVF flushes are sodium thiosulfate and sodium bicarbonate. 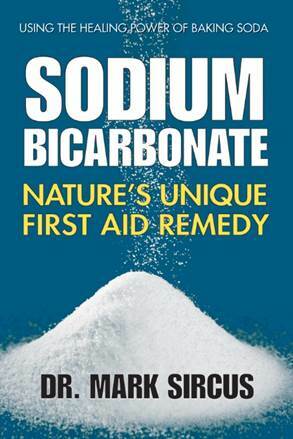 Special Note: On Monday, June 2, 2014, the Sodium Bicarbonate book in hard copy went on sale on Amazon and I invite all my readers to purchase a copy so we can push the book onto the bestseller list. 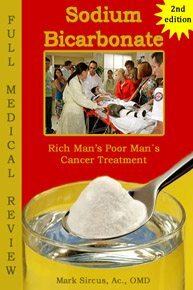 The second edition of the Sodium Bicarbonate book Rich Man’s Poor Man’s Cancer Treatment is also available now in a Spanish edition, in eBook form.